S.B. (Ravi) Pandit Co-founder, Chairman & Group CEO, KPIT Technologies Ltd. It has been a firm conviction of our company right since our inceptual that companies are born out of the countries in which they operate, and they have to contribute to the development of the society. The bond between companies and their societies is therefore very crucial and nourishing to both. The societies are enriched by companies’ contributions and companies derive their seeds, water and fertilizers for their societies. This has been a philosophy of KPIT Technologies all along. How should a company contribute to the society? Not by money alone, but by the energy, time and efforts of its employees as well. Which are the areas in which the company should contribute to their society? In all areas where the company can contribute and in specific in these areas where the company has special strengths and where the passion of the company lies. Community Initiatives’ at KPIT has been a long-standing tradition since its formative days. 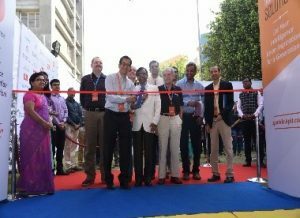 Leveraging on our strengths of people and technology, KPIT has been maneuvering itself through the social and environmental scape, trying to better the world, through select focus areas. KPIT works with the belief that responsible volunteering has the ability of imparting a long-lasting impact, with constant emphasis on quality of the impact than quantity. At KPIT, we aim to create a more equitable and inclusive society by supporting communities that lead to sustainable transformation and social integration. We aim to transform lives of people in our community through science and technology education. The focus on science and technology is because of our belief that technology can change lives and that science brings in rational thinking. Starting as early as high school, KPIT identifies itself with the progressive steps that lead people towards the adoption of STEM (Science, Technology, Engineering and Math) as a career choice and develops the acumen of an individual towards constant learning. “An initiative to teach school going students the basics of Science, with the help of fun to learn scientific toys”. Chhote Scientists, KPIT’s flagship initiative since 2012, was selected to bridge the learning gap between academic curriculum and practical application of the same in everyday living. 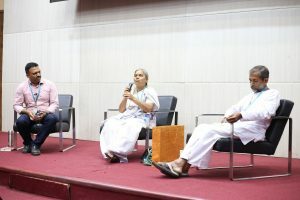 Development of Scientific attitude among students and strengthening their fundamentals, by encouraging students to think beyond the textbooks in real life application of science. 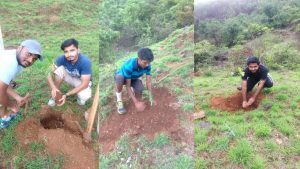 Creating a link between students and KPIT Volunteers. Actively engage KPites in various “Chhote Scientists” activities. 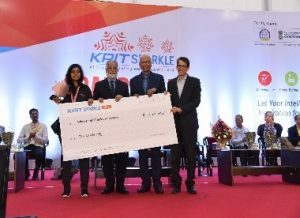 KPIT Sparkle, an innovation contest for Science and Engineering Students in India was initiated in the year 2015. 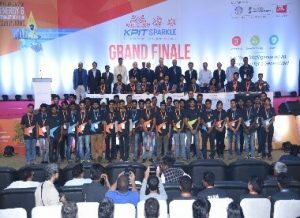 KPIT Sparkle is an Innovation platform which provides opportunity to Science and Engineering Students pan India, to come up with innovative ideas related to energy and transportation. 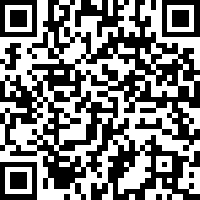 The contest is open to all students’ from under graduate level to PhD. To inculcate Innovative thinking to identify a real-life use-case/problem, develop a solution and demonstrate it through a working prototype. Hire interested students from the top 30/35 finalist teams and provide them opportunity to work on research projects of their interest within KPIT. We use energy and spirit of our employees to bring in a positive change in the communities that we live in. 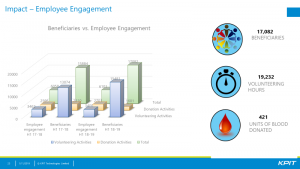 One-time community engagement activities bolster other focus areas by aligning employees’ time and interest. 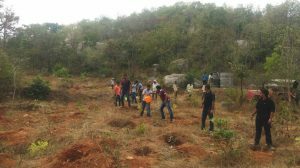 Be it disaster relief work, donation drives, volunteering drives or workshops, they all instill the commitment of our employees to society’s causes. How should the companies contribute? Social work is not the future of the corporate organizations. We therefore partner with reliable NGOs passionate about the contribution to the society in our focused areas. We operate across the world and therefore we contribute to social efforts across the world, in each country in which we operate. 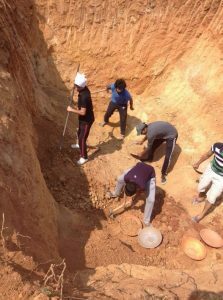 We like to measure the results of everything that we do- both in terms of the beneficiaries as well as the volunteers. Our conviction is that the giver benefits more than the receiver. We are delighted to be a part of the #Self4Society initiative, which is seeing employees from different organizations competing in a healthy manner, to bring a change to the societies we all are a part of. 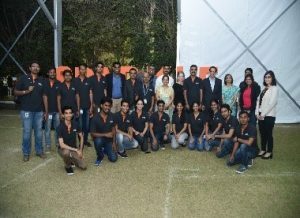 The employees from KPIT, voluntarily participate in all the activities to clock hours of service, to empower people from rural hinterlands; through imparting knowledge, connect the next million to use the internet, and environment upgrade ensuring a clean, safe and green world for all. The #Self4Society initiative is allowing the culmination of the best minds, to create a global village, whose men and women, can put India on the world map. Lastly, I would like to say that our investments in people are well aligned to growth areas that will provide real value and better experience to all our stakeholders. We continue to focus our efforts on sustainable ways to operate and engage at all levels. We are committed to push the bar higher to enable better outcomes for our clients so that they can make their businesses more sustainable and provide higher level of service to their customers. We believe that science and technology have the power to positively impact societies and transform them. In this direction, we continue to leverage our engineering and technology skills to contribute towards sustainable development of the communities in which we live.